Samsung seems all set to launch it's first foldable phone at the Samsung Developer's Conference later this week. Barely hours after we reported about Samsung planning to announce/showcase its first foldable phone at the Samsung Developers Conference on November 7, we now have clear indications that this, indeed, is happening. 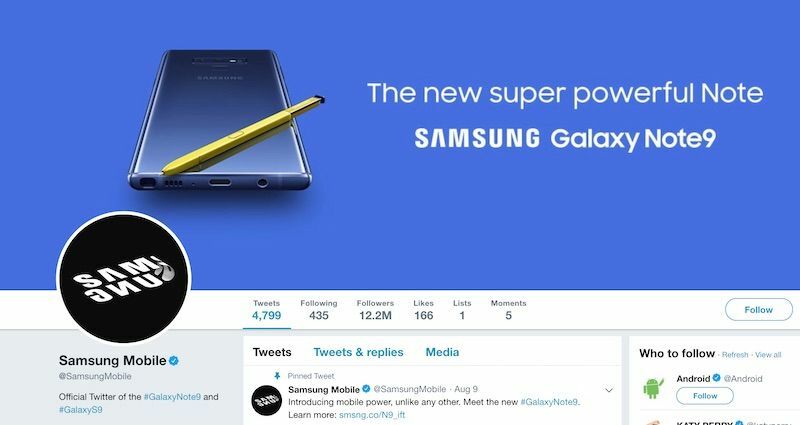 According to a post by Chinese language publication IT Home, Samsung recently updated its Twitter profile image with a very interesting looking image. 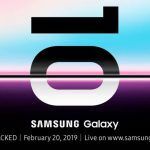 The image, according to the publication is an indication of the type of product that Samsung plans to showcase at the Developer’s Conference. In case you’re wondering, the image in the profile image is now a curved text that reads ‘Samsung’. We have posted a screenshot of Samsung’s official Twitter page below. As you might have guessed by now, the image below seems to be a clear indication of the fact that we will all witness something really interesting at the developer’s conference this year. 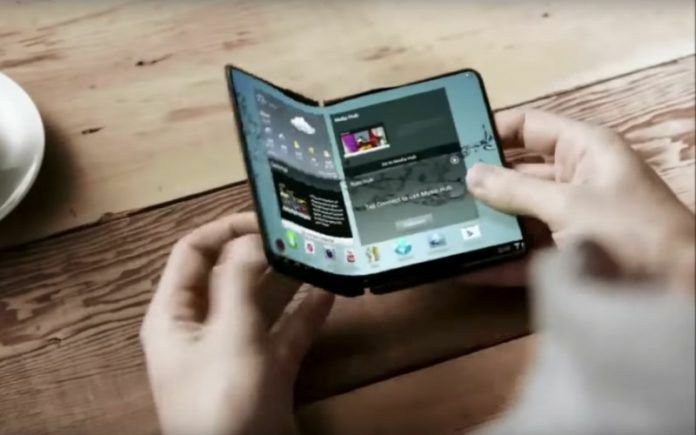 Samsung Foldable Phone: What do we know so far? If you have been following MySmartPrice for a while now, you should probably be aware of the fact that we have been reporting about this foldable phone for a while now. We had previously reported that the handset will come with twin screens – both of which would be Super AMOLED panels. The main display is reportedly around 7.3-inches wide while the secondary panel is a 4.6-inch panel. 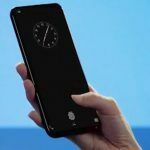 From what is currently known, you will be able to use the handset using the 4.6-inch panel like normal device when the handset is folded – albeit the 4.6-inch size might feel a bit too small in today’s age. It is when the phone is opened that you get to use the expansive 7.3-inch panel. 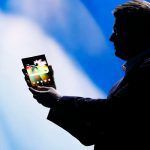 It comes as no surprise that the manufacturer of this high tech foldable panel is Samsung’s subsidiary — Samsung Display — arguably the largest makers of AMOLED panels in the world. 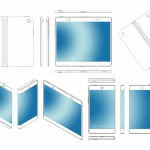 It was also reported earlier that Samsung Display has already started mass producing these new foldable panels. That being said, volumes are currently low with just 100,000 units planned per month initially. However, by 2019, we can expect Samsung to ramp up production to anywhere between 500,000 to 1 million units per year. Looks like Samsung wants to test the waters with the response to the first foldable phone before committing its resources to the manufacturer of these new panels. Samsung Foldable Phone to mark the debut of new Galaxy F-Series? 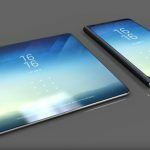 A few months ago, when Samsung planned to come up with a smartphone with a foldable panel first came to light, there were reports about the possibility of the device being part of an entirely new family of products. 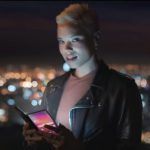 Samsung currently sells its devices across multiple series ranging from the high-end Galaxy S-series and the mid-range Galaxy A and C-series to the affordable Galaxy J Series. If we are to believe rumors from August, there is a good chance that this new foldable phone would be the first handset from the new F-Series. No prizes for guessing what the F in F-Series stands for. As for the specifications of this new foldable phone, we still do not know if this would be powered by a Qualcomm or Exynos chip. We can, however, rest assured that the device will almost certainly feature high-end components. Hopefully, we should have all the details just a few days from now. We will, as usual, have a live blog up and running to cover this important launch event. Did Xiaomi Just Derail Samsung’s Foldable Phone Hype Train?